Substance P is a neuropeptide that is a common regulatory compound within your nerves. It is released primarily in your brain stem and in nerve endings. It is released in small amounts on a regular basis as part of normal function of nerves. It is also released in larger amounts as the main way your body processes physical pain and intense stress. Under routine stress, your body simply turns up the volume knob on nerve activity and energy production and when the stress is over everything is supposed to recover. If not, your body enters a wear and tear trend. Substance P is not used as a basic coping mechanism for low-grade stress. However, extra substance P kicks in when stress is more intense. This could be an acute high level of emotional stress, physical pain, injury, an accident, or ongoing stress of an energy-depleting emotional nature. Substance P is highly inflammatory by nature, a natural method of helping to deal with acute stress but problematic if stress is ongoing. Because substance P is also processed in your brain stem, it cross-talks to the glial cells of your brain in turn interfering with thyroid function, stress hormones (the hypothalamic-pituitary-adrenal axis), as well as directly mucking up the flow of neurotransmitters -- all three factors can be significant mood challenges. Signs of too much substance P include disrupted sleep, poor stress tolerance, ongoing fatigue, anxious or hostile feelings, restless legs, increased general aches or pains, skin-related issues, respiratory stress, and/or digestive inflammation. Too much substance P can make you feel wound up inside, like a cat on a hot tin roof. Its like sitting at a stop sign with your foot on the gas and the clutch pushed in going 60 miles per hour nowhere. It is an uncomfortable wired energy often accompanied by odd nerve and skin sensations -- and fatigue. Substance P can be released in the brain stem or from any nerve ending. Once it is released it triggers mast cells to release more histamine, which in turn promotes more substance P release by more nerve cells. This means that if you get stuck in a substance P rut in can be self-sustaining and somewhat hard to get out of. 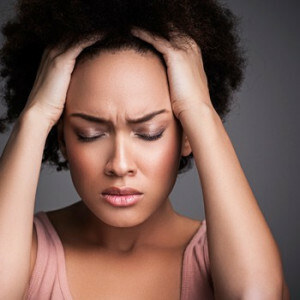 Substance P issues underlie many difficult to manage stress issues. The two best nutrients that help modulate histamine release from mast cells are quercetin and carnosine. Other nutrients like calcium AEP and acetyl-l-carnitine helps the nerves tolerate substance P better. This combination of four products can certainly come in handy to help nerves calm down. These products are typically taken during the day, and used in combination with the sleep support nutrients (listed above) taken before bed.